Here's something new for the Holidays from Clinique! 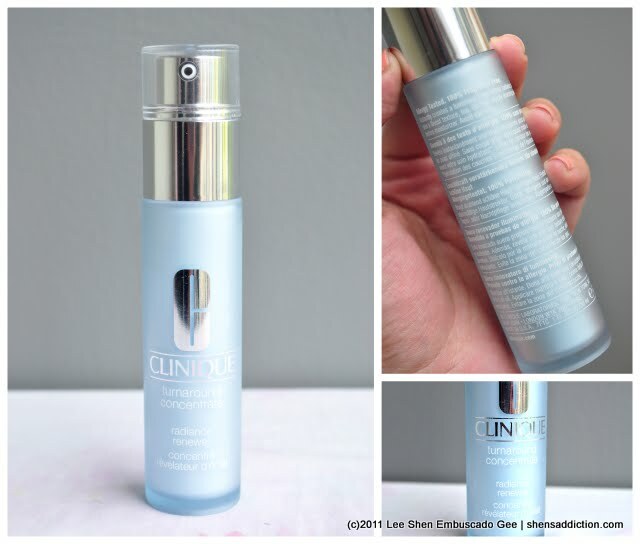 I was first introduced to the Turnaround line of Clinique when I visited their counter early last year and I was told by May (then brand Manager), that turnaround concentrate is the best product after you've dealt with your current skin care problems. 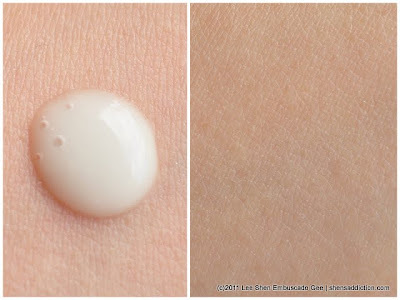 When I first tried it, I was pleasantly surprised with how the texture of my skin is. It felt smooth to touch. Much like getting a lunchtime peeling treatment from my derma. But I only tried the sample then and quickly ran out before seeing the longterm results of the product. Great thing though because Clinique has just launched a reformulated Turnaround Concentrate, now called Turnaround Concentrate Radiance Renewer. Did you know that almost every 45 days or so, our skin naturally sheds off dead skin cells? Have you noticed that most often, your skin feels lighter and brighter after your period? It's because our skin renews itself in cycle much similar when we have our period. Science has proven that our body has its on way of removing toxins, dry skin and what nots that aren't needed in our body. Unfortunately, they do not do so evenly. That's why some women with dry skin get that dry patches; and for us who have oily skin, shedding off these dry dead skin is even harder as our oils tend to trap them that sadly results to acne breakouts. I've learned a long time ago that well-exfoliated skin is one of the key factor to prevent breakouts. No dead skin trapping the comedones, no cystic acne. That's why I love getting facials and peeling treatments. But often peeling treatments can be harsh on the skin (especially if you do this a lot) and facial (albeit needed for my skin type) can be too painful. Two major reaons why I keep products in my stash that aids in exfoliation such as face scrubs, at home peeling kits, masks and serums. The latest addi(c)tion is the new Clinique Turnaround Concentrate Radiance Renewer. I love this product because it is exactly what my skin needs right now. Reading through some of its major ingredients, I know many of you will agree why I love this. First, it has Salicylic Acid which we all know helps with acne-prone skin. 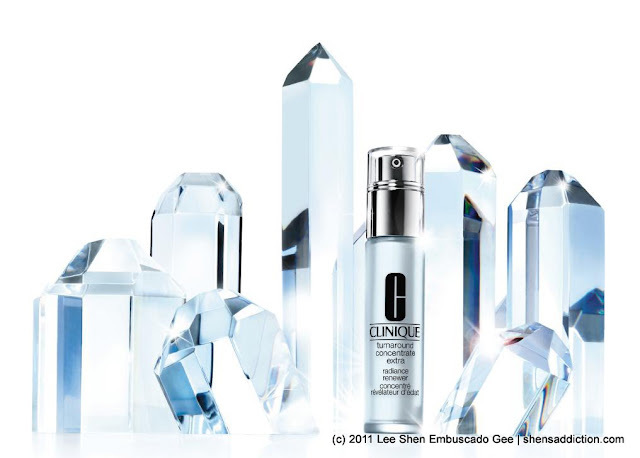 There's the Lactobionic Acid that is a gentle hydroxy acid or AHA, great anti-aging and for treatment of troubled skin. What's great is that it helps the natural process of skin renewal without compromising the newly reborn skin. It's perfectly safe, sting-free and has immediate results (I saw my skin improving 2 to 3 days after using). Also, it's oil-free! Clinique Turnaround Concentrate Radiance Renewer has found its way into my regular skin care routine every night. I apply this after cleansing and toning. Even when I have breakouts, but sparingly so on the affected areas. I stay away from the skin around the eye area as it is thinner and more sensitive. I also use this on the neck area. In the morning though I skip this product when I'm about to use makeup, keeping it strictly among my nightly regimen. I've been using Clinique Turnaround Concentrate for nearly a week and I'm seeing good results. My skin is obviously smoother. They say that this newly reformulated Turnaround Concentrate works doubly hard and twice more effective compared to previous formulation. Let's wait and see. Have you tried any Clinique turnaround products? If you do have any Clinique story to share at all, please do consider joining my mini-contest. --just visit this link --> Share Your Favorite Clinique Experience | Be my Date to the Clinique Real Women Party. Clinique's new Turnaround Concentrate Radiance Renewer will be available at all Clinique counters nationwide during the Holiday season.